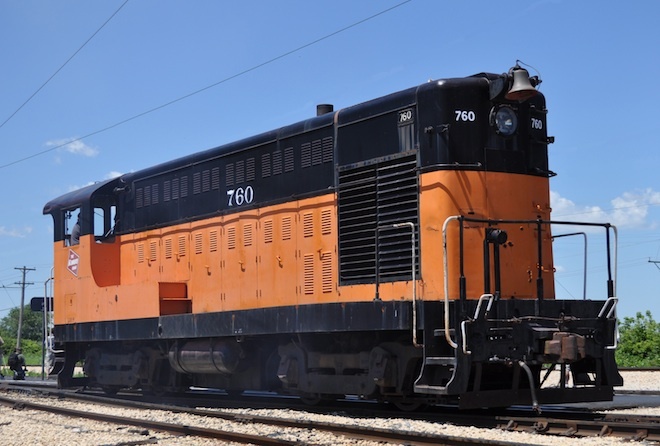 * Assembled in July 1951 by Canadian Locomotive Company, Kingston ON, as Demonstrator #7005 from parts, including bodies, trucks and prime movers supplied by Fairbanks-Morse, Beloit WI. Purchased by Canadian Pacific Railway in September 1952 and re-numbered #4065. Source: Donald R. McQueen and William D. Thomson, Constructed in Kingston (Kingston, ON: Canadian Railroad Historical Association, 2000), pp. 286-287. ** Built by Canadian Locomotive Company, Kingston ON. ** Unit build by Canadian Locomotive Company. Thanks to the following contributors and sources for additional information: Alex Bergstrom, Ghislain Gerard, Ron Goldfeder, Alexander D. Mitchell IV, Joe Mann, and Richard Parlby. Thanks also goes to Jim Lanigan who provided a large update to FM/CLC-built survivors in Canada.